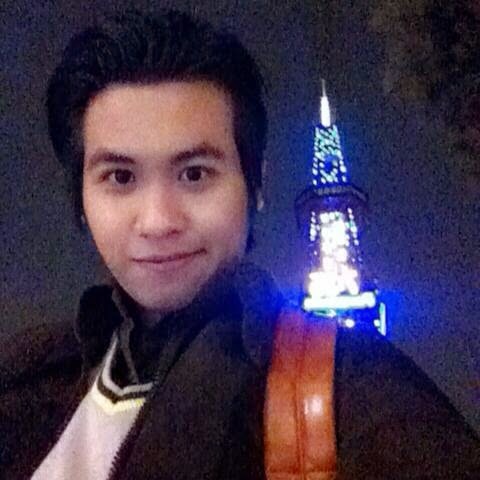 Jojo’s Diary : December Part 2_I am Superstar | PARE MEMBERS' CHAT ROOM! Hi! Minna-san, This is my last blog of this year. This year is my great year for me. I have a good chance to study in Japan for 1 year. I receive many experience from here. I will keep every in my memory. In the second part of this month, everything is fun because of this time is End Year's Party. I went to Odori Park, there are "Sapporo White Illumination" here. 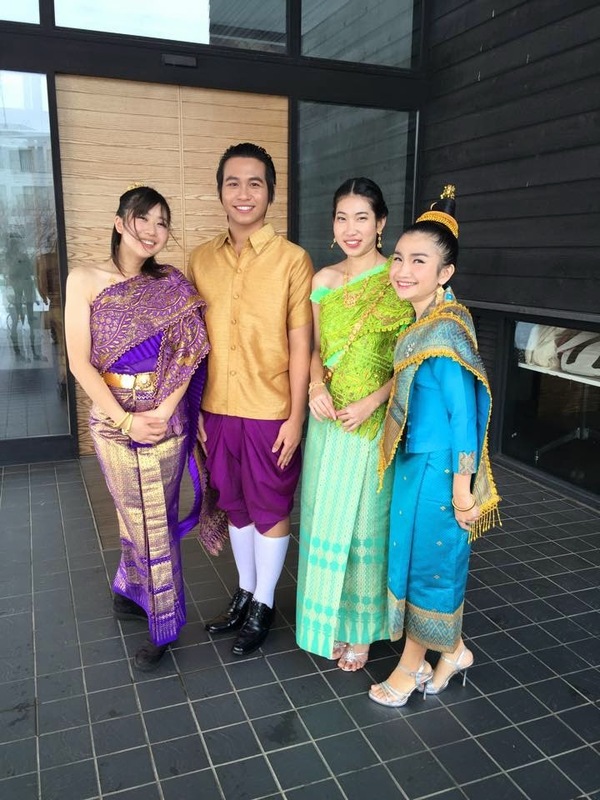 And in 20th December, I have Thai traditional dance and fashion show in "Sapporo Universities International Festival" with Fern and Toko(Japanese friend who interest in Thai traditional dance). 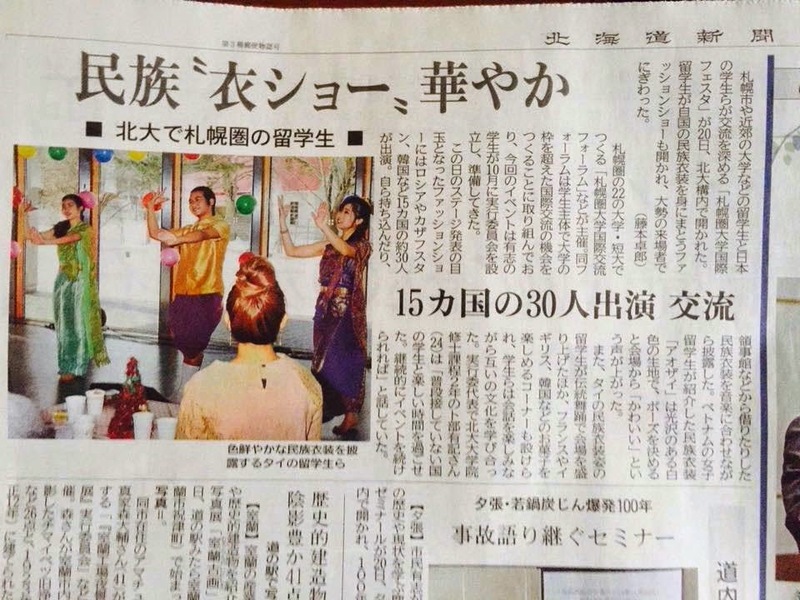 And next day after the show, I and my friend are in Hokkaido Newspaper. Wow!! I am a Superstar. 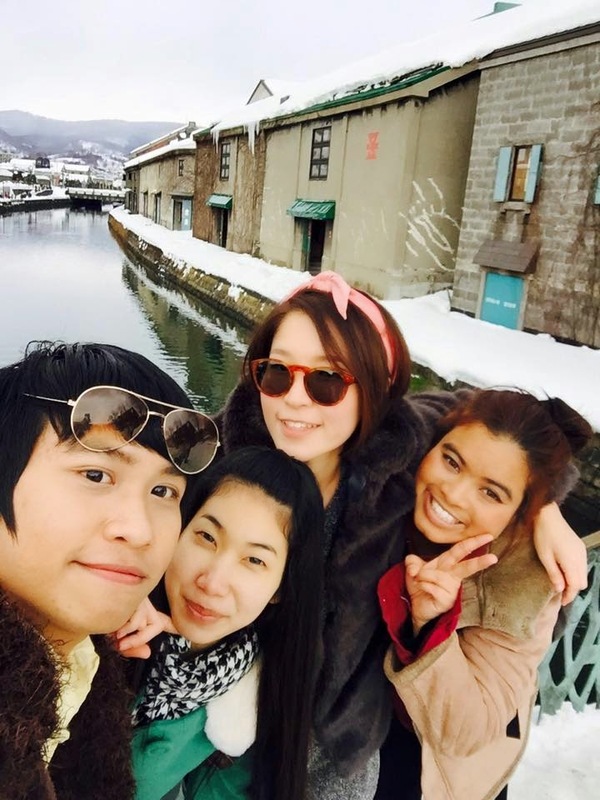 In 29th December, I and my friend went to Otaru again. But this time is different from last time, rain change to snow everything change to white. But It also beautiful. And in this month, I draw a picture for everyone to say "Happy New Year". 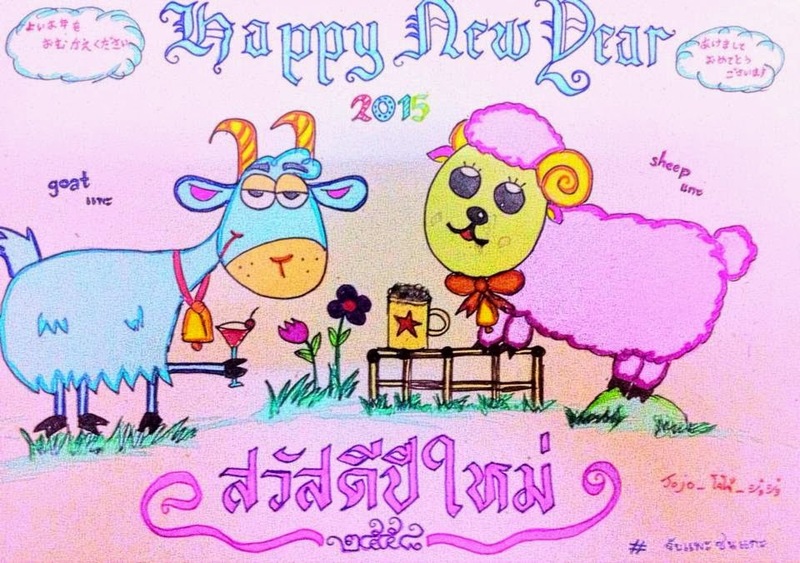 In this picture, I draw sheep and goat because in next year is the year of goat in Thai and the year of sheep in Japanese. Enjoying this winter and Happy New Year all !!! How if I am not ready? Formalities.... this is just another formality!! Dhina's Experiment : My just born baby! Dhina's Experiment : My Baby's Growing Up!